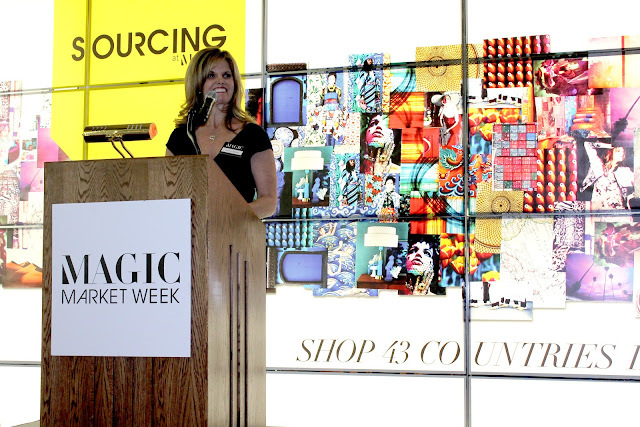 Last month I had the amazing privilege of being an Official Sourcing Blogger for MAGIC MARKET WEEK alongside Vanessa from Stylishly Me and Wendy from Bendoni Style. 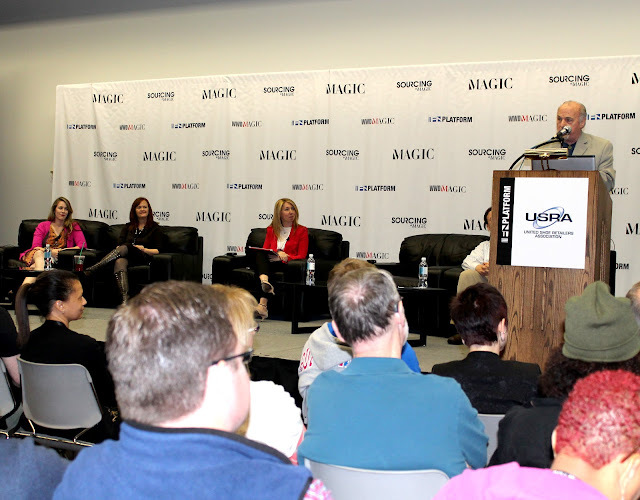 Read more below on my highlights of Day 1 at Sourcing at MAGIC! For the first time ever, Sourcing at MAGIC opened its doors and gave attendees access to shop 43 countries in 4 days! Speaker Karalynn Sprouse proudly announced this was the one place stop to go to find all your sourcing needs. Clothes? Jewelry? Hangbags? Denim? Footwear? Textiles? You name it, they had it. There was a sourcing option for whatever you were looking for. 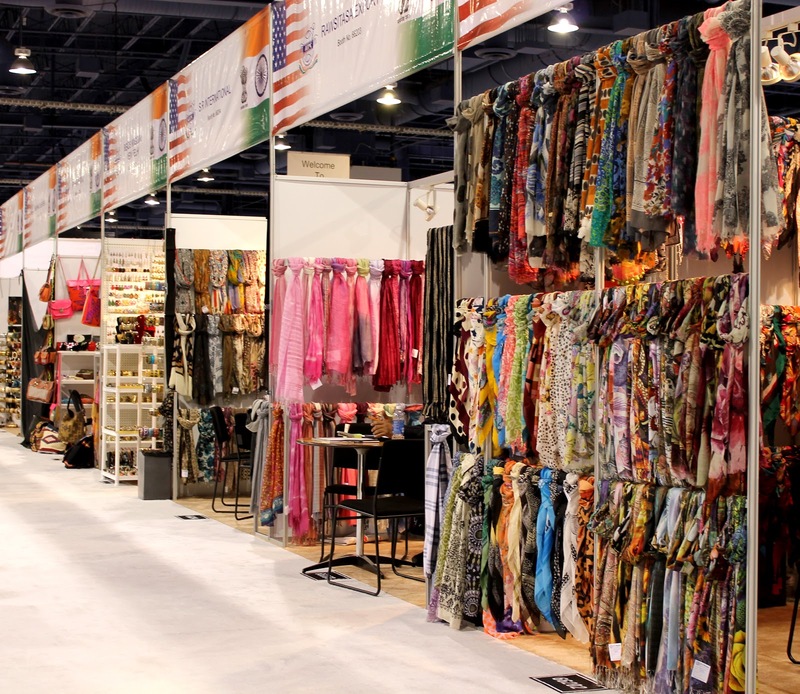 Endless aisles were filled with sourcing manufacturers who were all helpful to provide information about their services. This row displayed products made in India and the elaborate printed scarves were eye-catching - I saw many people stop and stare. 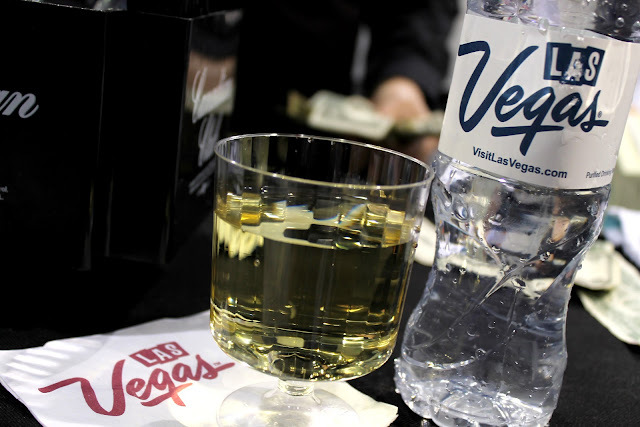 Complimentary beverages at the Opening Day Cocktail Event. Chinese calligraphy done by the talented Han Chang Peng was very interesting to watch live. If anyone knows how to read Chinese, can you translate what it means? Thanks! Sadly missed the Sourcing Bootcamp (this class reached capacity so fast!) 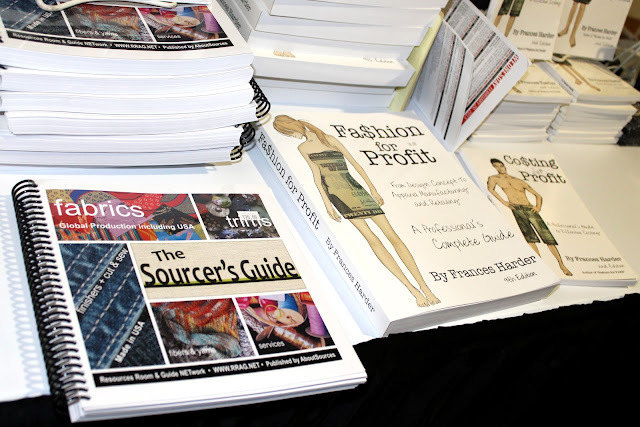 but they did recommend these resourceful books: The Sourcer's Guide and Fashion for Profit. 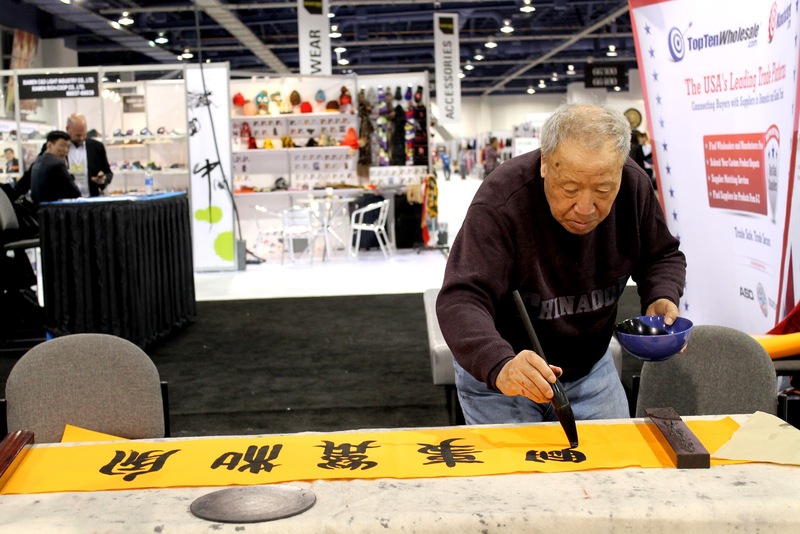 At the Visual Merchandising seminar, Ray Estes of New Era Design believed that "the walls tell the story of your store and has a theme of your identity." Great advice to keep in mind when considering the layout of your store - what "image" are you portraying to your customers? China seemed to be a popular country that manufactured jewelry. 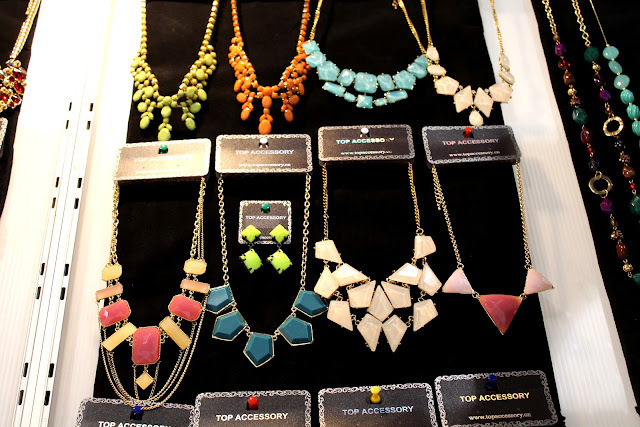 I really loved the bold neon colors here for spring! Behind-the-scenes picture: being interviewed for MAGIC MARKET WEEK! Full outfit details here. To think this was just Day 1. Stay tuned for more MAGIC MARKET WEEK updates! Wow that looks like such an amazing event full of great inspiration!